It used to be that our colleges and universities were places of learning; today these schools are bastions of left-wing political indoctrination. Just one day after announcing that it would not allow the showing of the hit movie “American Sniper,” the University of Michigan backed down and agreed Wednesday night to allow the movie to go on at its originally scheduled time and place. It was a mistake to cancel the showing of the movie “American Sniper” on campus as part of a social event for students. 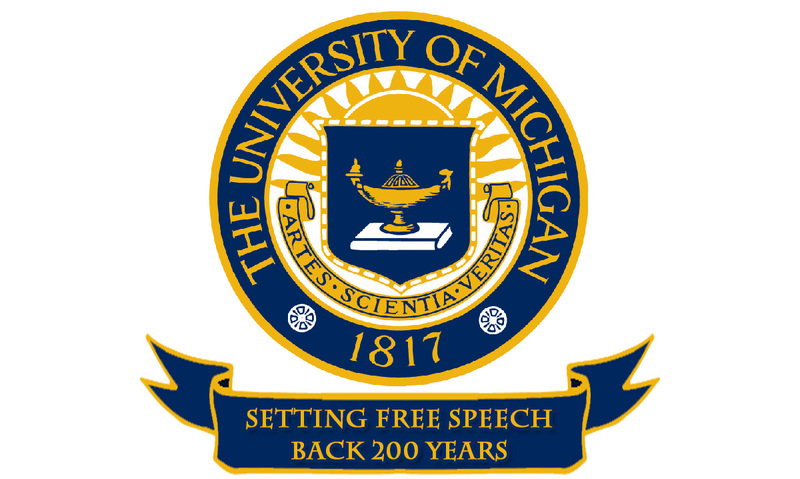 The initial decision to cancel the movie was not consistent with the high value the University of Michigan places on freedom of expression and our respect for the right of students to make their own choices in such matters. The movie will be shown at the originally scheduled time and location. We recognize, however, that some students are uncomfortable with the content of the movie, and appreciate that concern. University of Michigan cancelled the planned showing of the movie after students, mostly Muslim and/or Arab, complained about it. The university’s decision set off a maelstrom of criticism, including from head football coach Jim Harbaugh who tweeted: “Michigan Football will watch “American Sniper”! Proud of Chris Kyle & Proud to be an American & if that offends anybody then so be it!”Lamees Mekkaoui led the drive to get “American Sniper” banned claiming that the school should not play a movie that makes her uncomfortable and promotes what she and others have said are anti-Arab and anti-Muslim sentiments. One would think Ms. Mekkaoui hasn’t seen the movie, not that that should have any impact on someone who favors symbolism over substance. 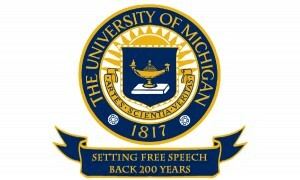 More than 43,000 students attend the university, but Mekkaoui’s drive produced a petition letter signed by only a few hundred fellow students, and yet that was sufficient for the university’s Center for Campus Involvement to pull the film from its lineup of events; clearly at U of M the needs of the few outweigh the interests of the many. The movie American Sniper is not about a racist mass murderer or a criminal,” that petition said. “If the University prevents a movie like this from being shown, it promotes intolerance and stifles dialogue and debate on the subject and goes directly against the atmosphere UMix purports to provide. As adults at a public university, we should have the option to view this movie if we so choose and have the opportunity to engage on the topics it presents to come to our own conclusions on the subjects. Students should be trusted to interact responsibly on a movie no different than any other film depicting the lives of the troops at war, such as Saving Private Ryan. The film, directed by Clint Eastwood and starring Bradley Cooper, is based on a true story. It is the autobiography of U.S. Navy Seal Chris Kyle who served in Iraq and has the most confirmed kills as a sniper in U.S. military history. However what Ms. Mekkaoui, and others who haven’t seen the film don’t realize Kyle’s return and the issues a returning soldier face after being in such an intense environment have as much to do with this film as Kyle’s time in Iraq. Surprisingly, Mekkaoui, a sophomore at U-M, claim’s she’s seen the movie, which many on campus find difficult to believe. What exactly is this propaganda? If Ms. Mekkaoui feels like events portrayed in the movie are inaccurate or made up, she should say so and identify the falsehoods; of course she cannot. All events in the movie and the book it is based on were validated by other soldiers who served with Kyle. Mekkaoui submitted the petition signed by a couple of hundred students, including some from the Muslim Student Association. Mekkaoui is a member of Students Allied for Freedom and Equality and the Middle Eastern and Arab Network at U-M.
You could scan the movie ads on any day of the week and find something offensive to someone. Our politically correct world says if anyone doesn’t like something espoused in any form of media it is unsuitable for us all; this is the definition of censorship. If the university wanted to help their students grow, they should want them to get the broadest perspective possible or at least consider the needs of 99 percent of the students before caving to the politically motivated few.